You can’t eat fast food everyday……right? That seems to be my dilemma. I only want to each things that are grilled, smoked, or fried. I can’t do that everyday……..right? My co-worker and I were in the Vine Neighborhood for an assignment parked along South Westnedge near Crow’s Nest. As much as I wanted to, I didn’t have the time go sit down for a meal at Crow’s Nest so I had thought about walking to Taco Bob’s instead. I started to cross the street when I noticed something else. 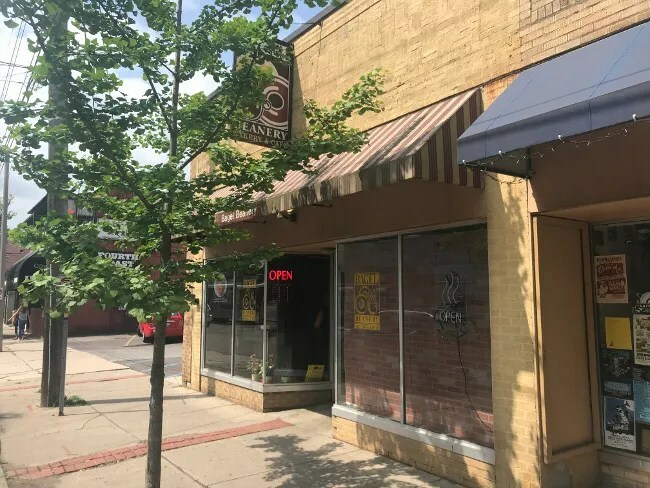 Bagel Beanery is on a very busy stretch of Westnedge Avenue just south of downtown Kalamazoo in what is known as the Vine Business District. The buildings on this stretch of road are all up near the curb with street parking available on both sides of the street. Bagel Beanery also has some parking spaces on the side of the building between itself and Fourth Coast Cafe/Crow’s Nest. 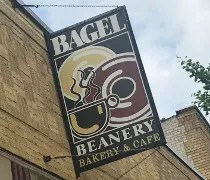 There are four Bagel Beanery locations in West Michigan. The other three are in the Grand Rapids area. I know this one has been around at least ten years. The small cafe has entrances both in the front of the building and on the side from the parking lot. There is an order counter that takes up much of the space. There are large TV monitor menu boards hanging behind the counter listing all of their sandwiches, dessert, and drink options. It’s a pretty typical cafe with soup, salad, and cold meat sandwich options dominating the menu. I was just going to get a sandwich but one of the soups caught my attention. At least it was listed as a soup. I ordered the White Cheddar Mac & Cheese alongside the Asiago Roast Beef Signature Sandwich. The sandwiches come with chips and a pickle. 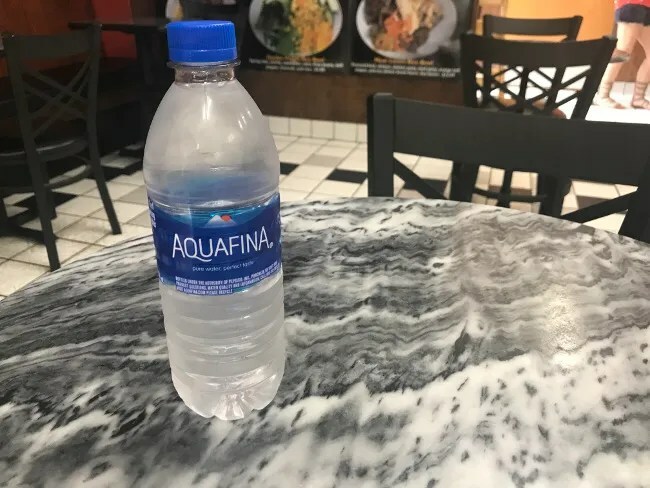 On Monday and Wednesday, they also come with a bottle of water so I grabbed that to drink as I was waiting. The cost was a little over $13. 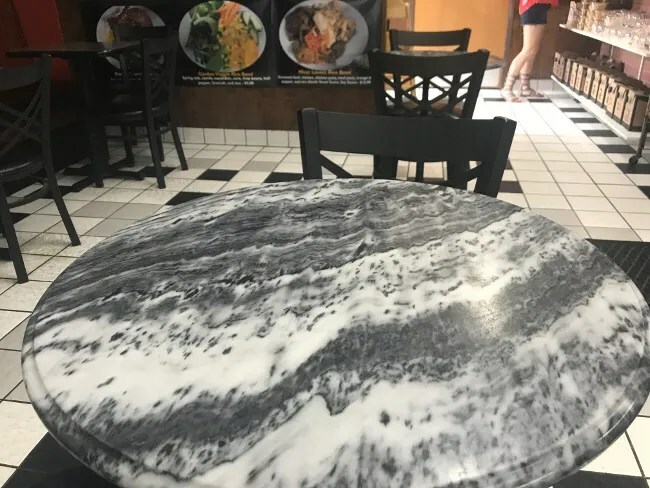 I took a seat in the small dining room at one of the marble two top tables to wait for my sandwich. It took less than five minutes from the time I was done ordering to the paper bag being handed to me. I had left my co-worker across the street to finish up a task and it timed out perfectly with us getting back to the car at the same time. When we got back to the office, I popped open the White Cheddar Mac & Cheese first. This “soup” is shell noodles in a thick, rich, creamy White Cheddar cheese sauce. I love the use of shells. 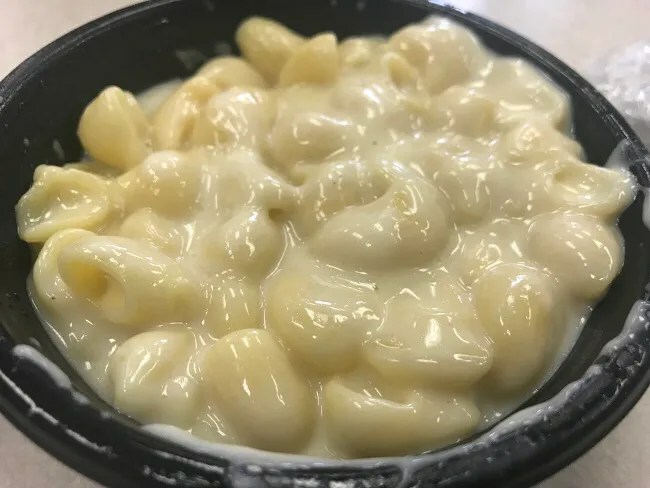 The sauce has so many places to pool up and you end up getting more cheesy goodness in every bite. When I finished off the pasta, I unwrapped the sandwich. 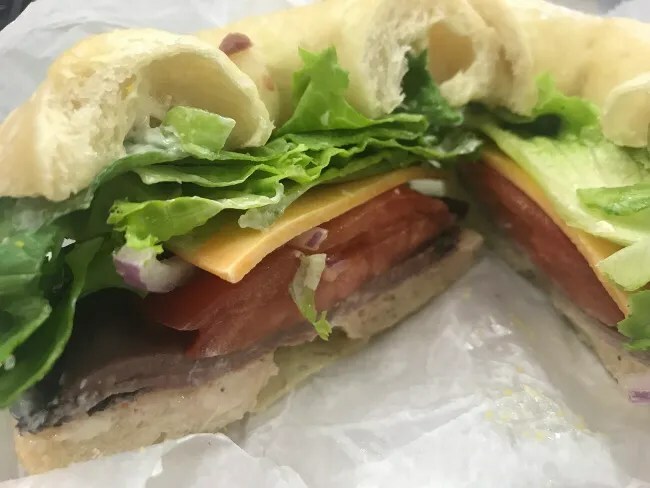 The Asiago Roast Beef signature sandwich is an Asiago Cheese Bagel filled with roast beef, cheddar cheese, lettuce, tomato, red onion, and a horseradish mayo. The sandwich looked rather large but it was the thick slices of tomato that made up for most of the height. I pulled them off as well as some of the lettuce that i used to scrape off the excess mayo before I took a bite. The sandwich was quite tasty when I got down to the good stuff. I was iffy on the mayo but I left it on because I typically like the horseradish. I never understand why there has to be so much that it drips off when you smash the top layer of bread down. Sandwiches like this are supposed to be healthier than fast food but an extra gallon of mayo almost makes it worse. Once the mayo was paired down a little, I actually really enjoyed the sandwich. 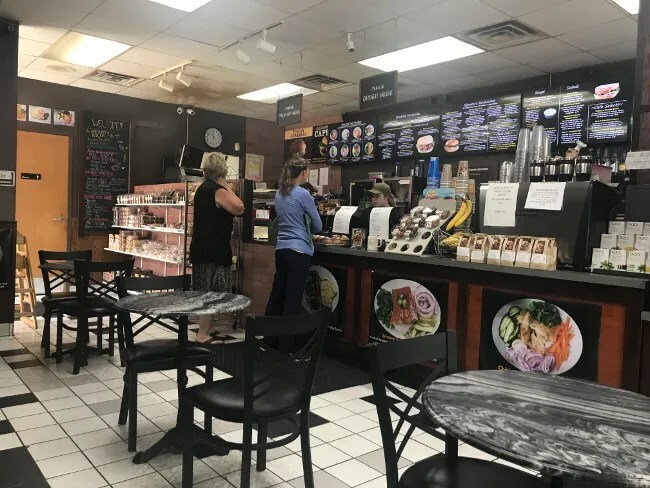 Bagel Beanery is a place I’ve drove past so many times…both in Kalamazoo and Grand Rapids….and never stopped at. In my mind, cafes like this are for coffee drinkers, but I’m proved wrong time and time again. You don’t necessarily have to like coffee to enjoy a cafe.